Outsider's rough structure, warm earth tones and distinct pattern invites a piece of Africa into your home. 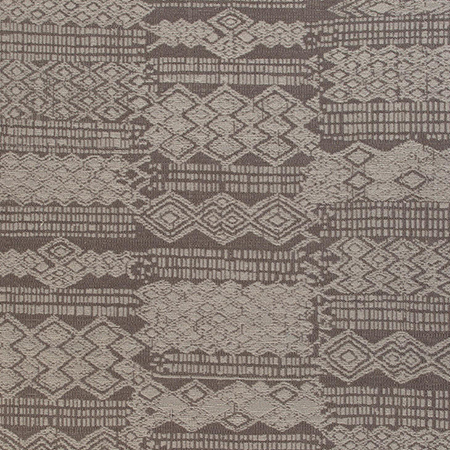 The ethnic pattern is formed by two alternating colors, chocolate and gray. 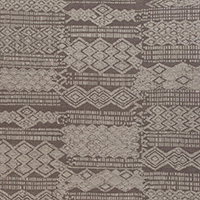 Outsider is an extremely flat-woven vinyl, made in Belgium, with a total height of 0.20". It needs no additional finish (binding) as it comes with a self edge. Total Height of Goods: 0.20"
Vacuum regularly. Mop with a humid cloth.